Breitbart News is doubling its reward–to $100,000–for one of the missing pieces of Barack Obama’s past, which may be the key to understanding his collapsing Middle East policy: the “Khalidi tape,” a video kept under wraps by the Los Angeles Times since April 2008. The Khalidi tape shows Obama at a 2003 farewell party for radical Palestinian academic and activist Rashid Khalidi, and reportedly features vitriolic anti-Israel rhetoric. The article was not aimed at vetting Obama’s past; rather, the tape was likely shared with the Times as a means of pressuring Obama by reminding him of his past commitment to the Palestinian cause as he courted pro-Israel voters and donors. Wallsten refused to release the Khalidi tape itself, or a transcript thereof, for readers to examine and judge for themselves. The ties between Obama and Khalidi are deep, going back to the days when Obama served on the board of the Woods Fund with former terrorist Bill Ayers, and provided funds for Khalidi’s Arab American Action Network. The Obama and Khalidi families also developed close personal friendships, which–by Obama’s own admission–affected the way he approached the Israeli-Palestinian conflict and the Middle East as a whole. Notably, Obama’s reluctance to recognize Jerusalem as the capital of Israel could reflect Khalidi’s influence. Khalidi told Israel’s Ha’aretz newspaper in 2008 that his family roots in Jerusalem date back more than 500 years, and that his uncle was the mayor of Jerusalem from 1935-7, a key period in the history of the conflict. 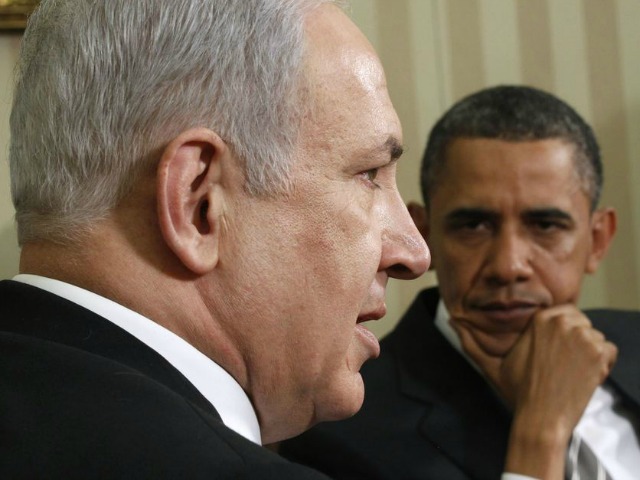 Obama broke his 2008 campaign promise to support Jerusalem as Israel’s undivided capital. His new position was reflected in the platform fight at the 2012 Democratic National Convention over changes that were likely urged and approved by Obama before controversy erupted and he intervened to restore language supporting Israeli claims. Given Obama’s muted response to the attacks on U.S. embassies and troops throughout the Middle East today; his refusal to meet with Israeli Prime Minister Benjamin Netanyahu next week; his eagerness to sacrifice Americans’ free speech rights in fruitless gestures of appeasement; and his belated but effusive support for the now-radicalized Arab Spring, it is worth examining the roots of his misguided foreign policy. The Khalidi tape may provide the key. The mainstream media has recently been eager to probe the implications of Mitt Romney’s comments at a fundraiser on an incomplete, apparently illegally obtained video tape. Yet it has refused to explore the implications of the Khalidi tape, and has protected Obama from whatever that video might reveal. With America under attack, and Israel in existential danger, there is no longer any excuse for the cover-up. The initial $50,000 reward offered by Breitbart News in July generated much interest–including in Israel–but no credible responses. Inquiries to the Arab American Action Network, and to anti-Israel activist Ali Abunimah, who served on the Network’s board at the time and has criticized Obama’s shift away from his earlier professed beliefs, remain unanswered. Accordingly, we have doubled the reward amount in the hope that the source will come forward. The full sum of $100,000 will be provided to whomever can provide the complete and unedited video and audio of the Khalidi event. The reward is contingent on Breitbart News being able to obtain independent authentication of the video recording, as well as verification that the video recording contains Obama’s complete remarks at the event.